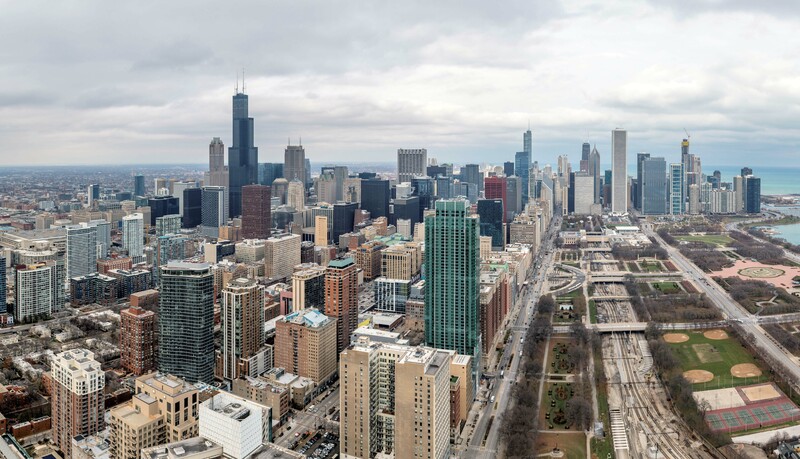 Essex on the Park, the striking 56-story apartment tower at 808 S Michigan Ave in the South Loop, recently welcomed its first residents. Essex on the Park is the first new construction on the landmark South Michigan Avenue street wall in 60 years. 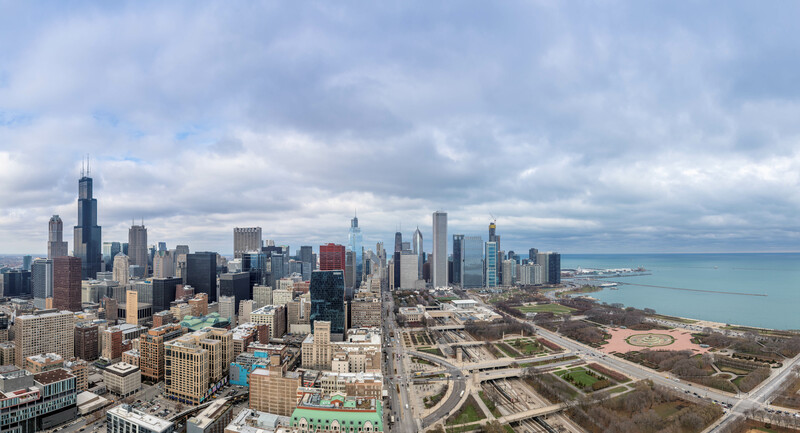 At 620 feet, it’s also the tallest building on South Michigan Avenue. Essex on the Park offers studio to 4-bedroom duplex penthouse apartments. 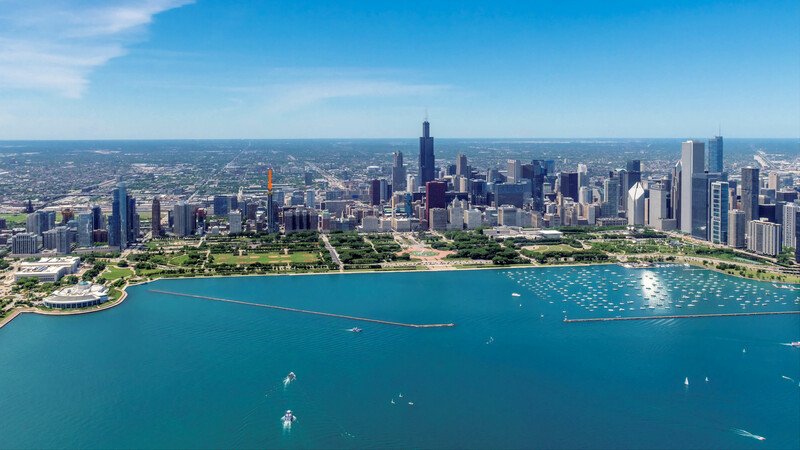 Studios start at $1,920 a month, convertibles at $2,030, 1-bedrooms at $2,570, 2-bedroom, 2-baths at $3,610 and 3-bedroom, 2-baths at $6,690. 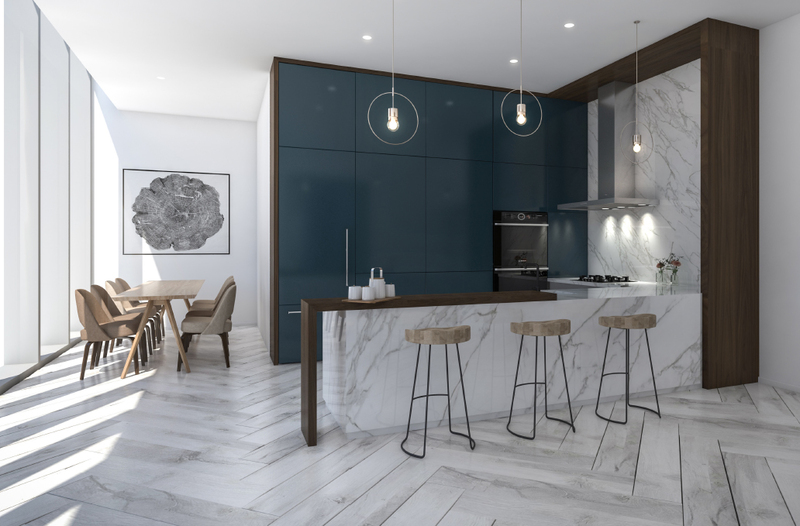 Four-bedroom penthouses with 3 baths start at $12,000. Floor plans and near real-time rent and availability info are online. The apartments have 9′-10″ ceiling heights, oversized windows, plank flooring throughout, roller shades, closet organizers, programmable thermostats and in-unit washer / dryers. Kitchens have marble-look quartz countertops, gas ranges, stainless steel appliances, soft-close cabinetry and tile backsplashes. Baths have rainfall shower heads, frameless shower doors, deep soaking tubs, and undermount sinks. Penthouse units have large outdoor terraces with fabulous views. Essex on the Park soars high above its surroundings and has great views in every direction. Essex on the Park is a full-amenity, high-service building. The 4-story “winter garden” may be the most dramatic amenity space in any Chicago apartment building. 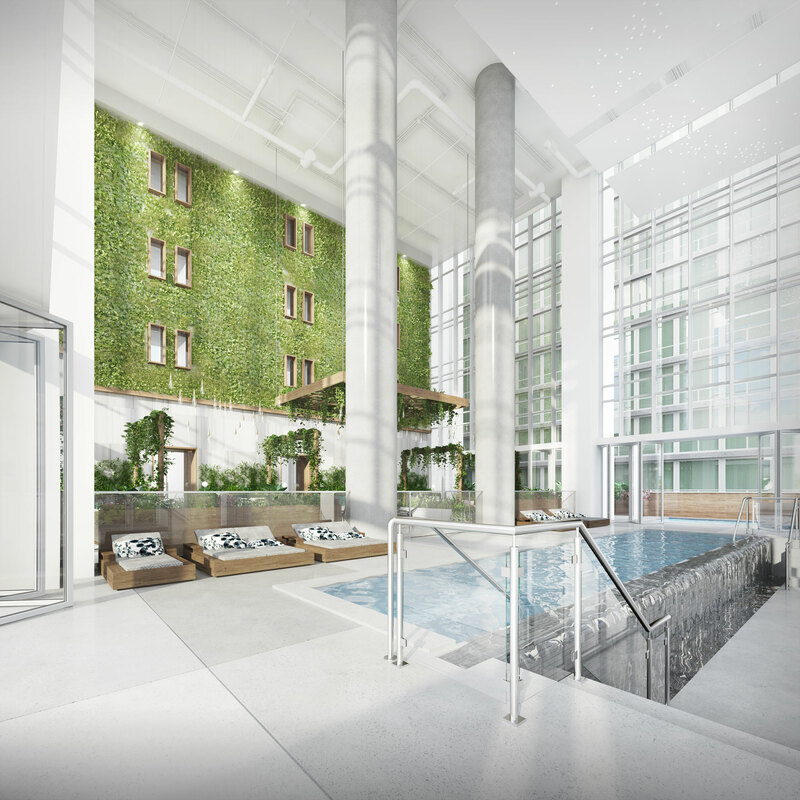 The space hosts an indoor pool, looks out on Grant Park and opens to outdoor terraces. 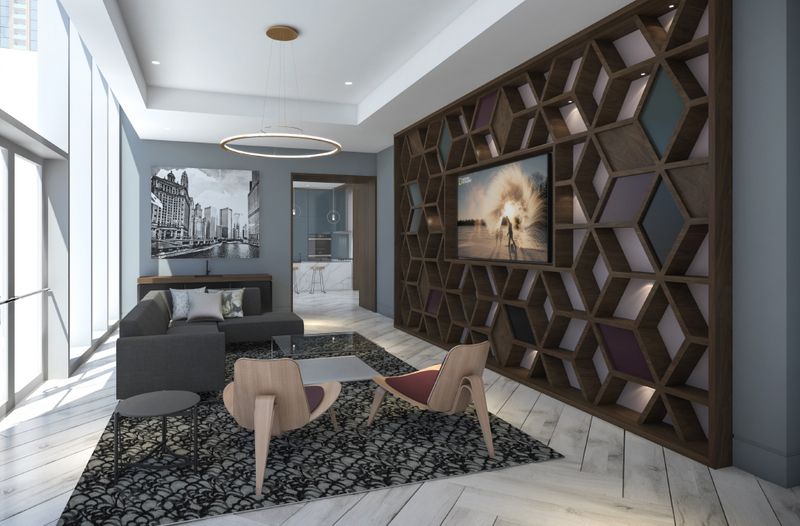 The amenities package includes a game room, a chef’s kitchen with private dining space, resident lounges, outdoor grilling areas, and a coworking space and business center. An expansive fitness center with Fitness on Demand features a variety of cardio- and strength-training equipment and a separate yoga studio. There’s a private dog walk and a pet-grooming studio. Essex on the Park has on-site management, maintenance and leasing staff and 24/7 door staff. The building is pet-friendly, subject to limits.